When I started writing This Child of Ours, I thought I knew exactly how to write it. But the funny old thing about writing is that while you are doing it, you are also doing something else, unavoidably – and that’s living. What you live almost always influences what you write, whether that’s as big a thing as the plot, or as subtle as the mood of a particular scene. I set out to write a book that was part moral dilemma (what would you do?) and part-love story – a couple who adore each other are thrown into a situation that tests that at every level. I started to research the book, meeting people who’ve been in similar situations to the couple in my novel, trying to do the best for their child – and then things got more complicated. Society was changing so quickly – with views on gender, and laws relating to gender identity evolving week by week. I had to keep updating the plot I had, and changing parts of it. It had to reflect the real world we are living in – and yet (inconveniently, but excitingly, for the book) that real world was in transition. At the same time my personal life ticked on, my second child had recently arrived, and I was struggling to juggle both children and find the time to write. I’d thought life would feel complete but instead I felt exhausted and overwhelmed. A close family friend died – she was a brilliant person, always supportive, and was far too young to go. The news kept doing what the news does, and some of those stories affected me a lot. At times I felt blocked by what was going on. Then, after a couple of weeks I’d find I could keep going, but in a different way – what was happening had, without me doing anything, found its way to become part of the story. I realised the story that was taking shape was so much more real than the one I’d first pictured, because life had woven itself into it. I think there’s a lot to be said for plotting and planning, for chapter outlines and boards of Post-It notes. But you also need to leave space. In writing, as in life – it’s sometimes through the cracks that the light really comes in. 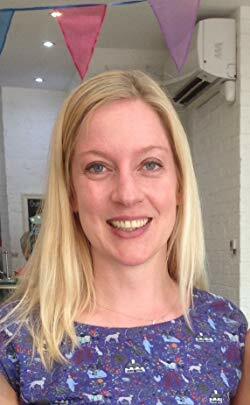 Sadie Pearse lives in north London with her husband and two young children. She worked as a book editor and creative mentor before starting to write full-time. She loves travelling, reading bedtime stories, ice cream, dancing salsa, and feeding ducks. 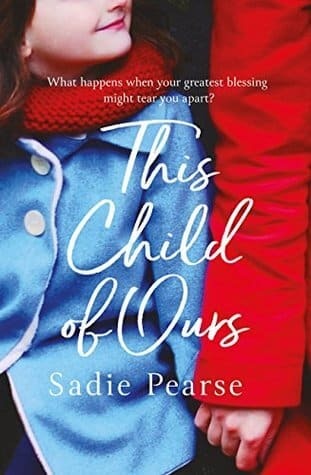 This Child of Ours is her first book writing as Sadie Pearse. She has also written four novels as Vanessa Greene, and five as Abby Clements, with rights sold in thirteen countries.